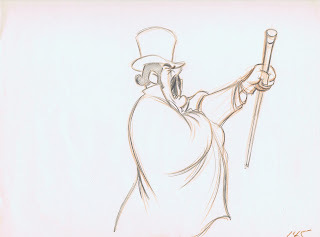 I would love to have met Lounsbery, but by the time I started at Disney, he had already passed away in early 1976. Co directing "The Rescuers" had been his last assignment at Disney. Everybody who knew him has only the nicest things to say about him. 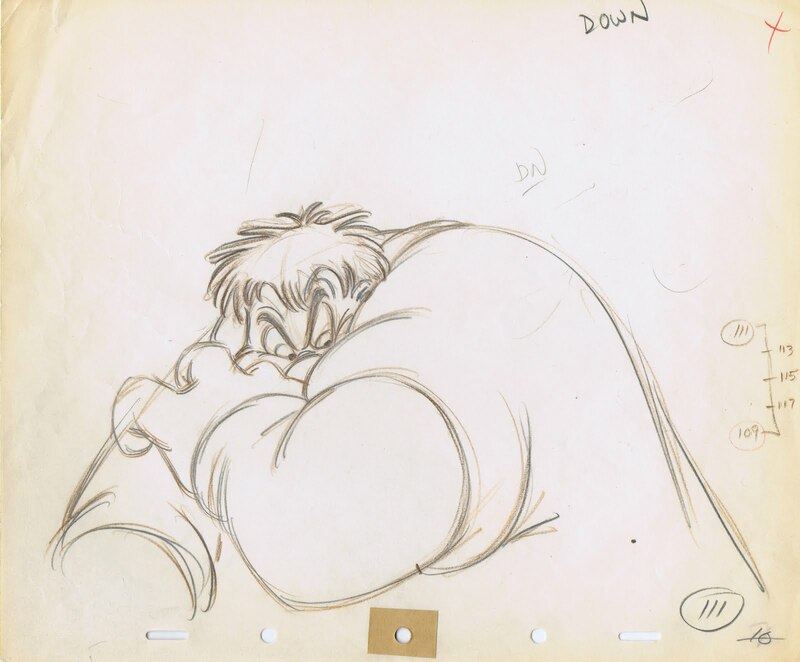 Animator Dale Baer learned under Lounsbery during the training program in the seventies, and he still raves about how kind, patient and giving he was. 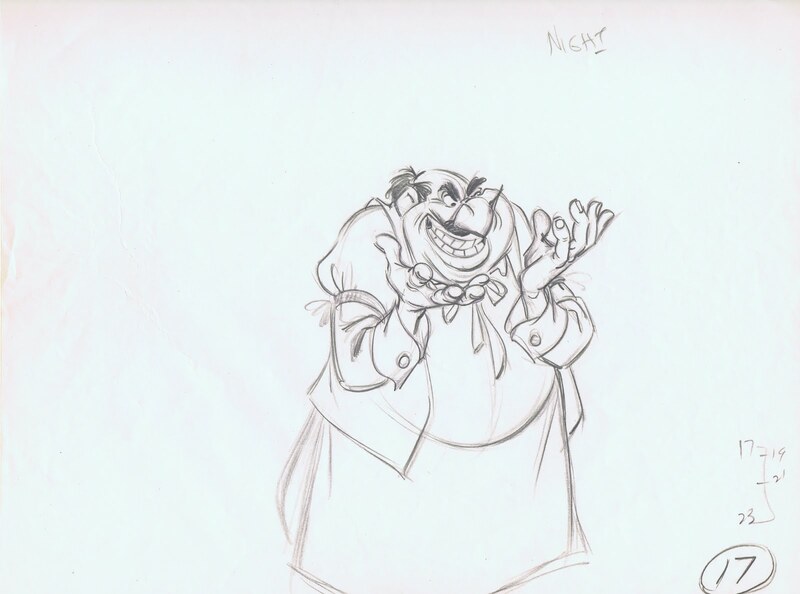 Dale recently had the chance to animate one of his tutor's classic characters in the upcoming (in the States) "Winnie the Pooh". 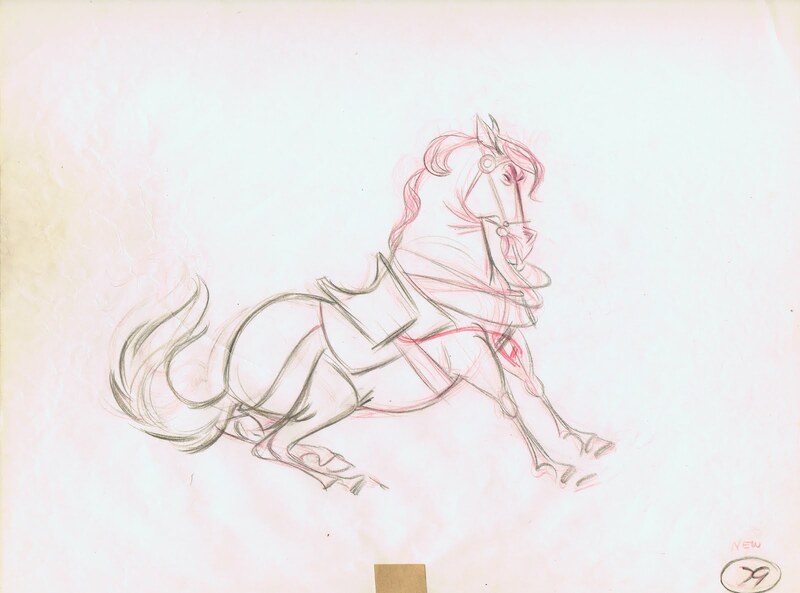 In the late eighties I got to meet his wife Florence, and one of the things I asked her was, if she kept any original artwork from her husband. The answer she gave me almost made me cry. She said: "Oh, we had a lot of his animation and sketches at the house, but we had that big fire, and it's all gone". I don't even remember what she said as to when that happened, it just stopped me in my tracks. 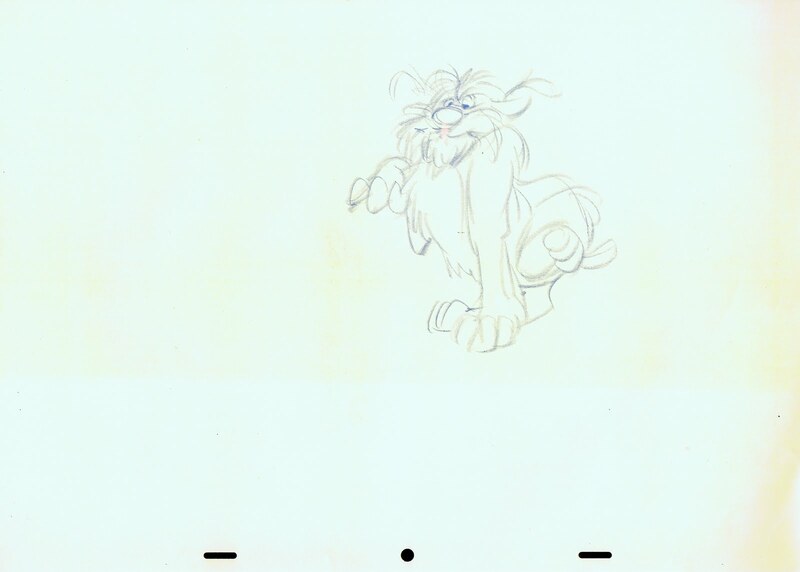 As you know John Lounsbery was a fantastic animator, and a great draftsman, too, as you can see in the attached drawings. In "Pinocchio" he did some of the early scenes with Honest John and Gideon. just preceding the Pink Elephants. 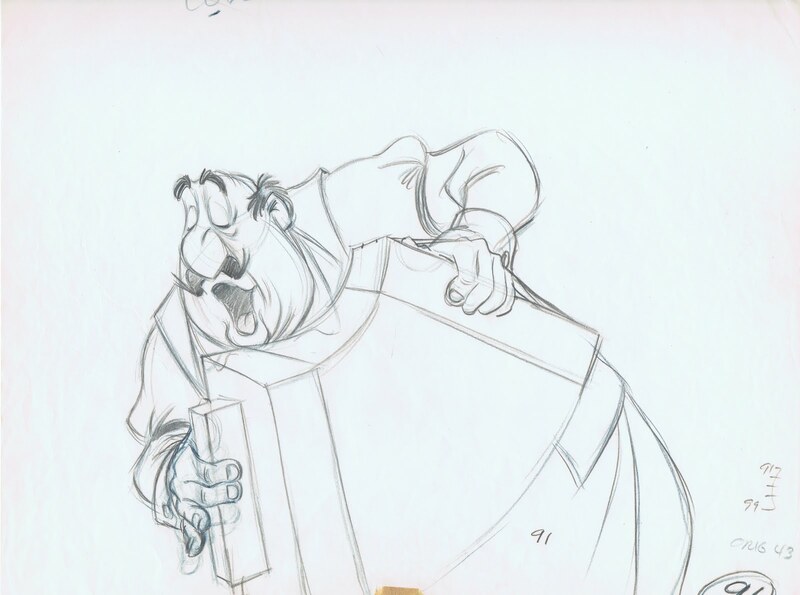 some of the funniest stuff ever animated. 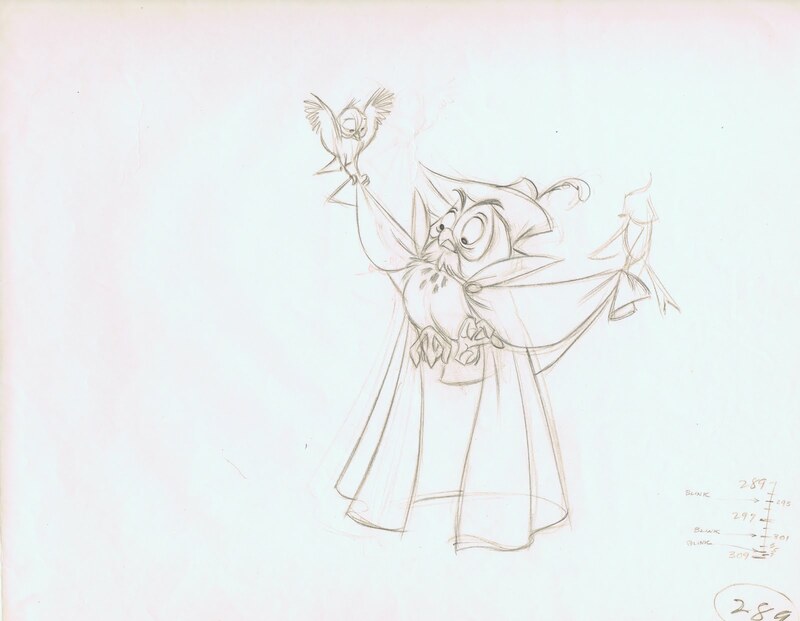 Below is a photo showing him at work on "Sword in the Stone", looks like he is looking for that one lost drawing. I love the staging in these roughs of Willie the Giant. He looks scary and funny at the same time. 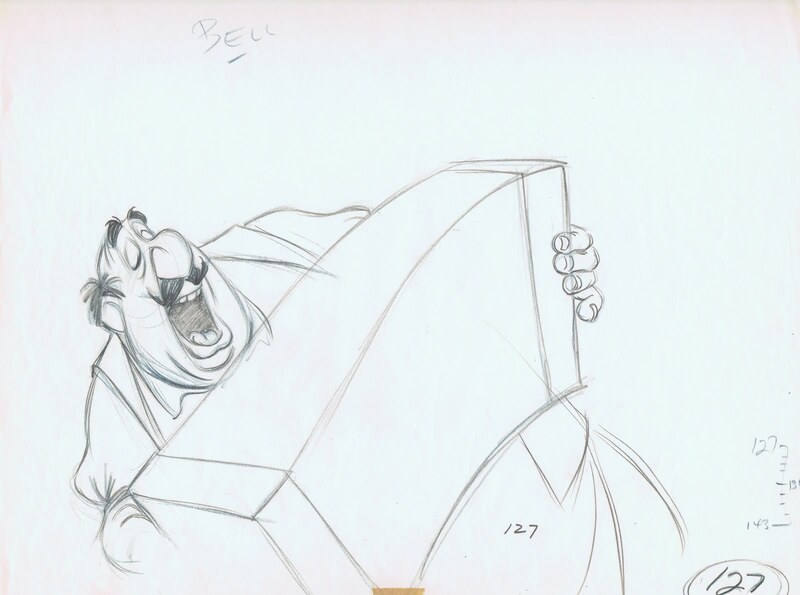 acting scenes in Disney animation. Here he is arguing with his wife, he also pretends to be scared at the very thought of Peter Pan. Check this scene out frame by frame, you'll learn a lot. 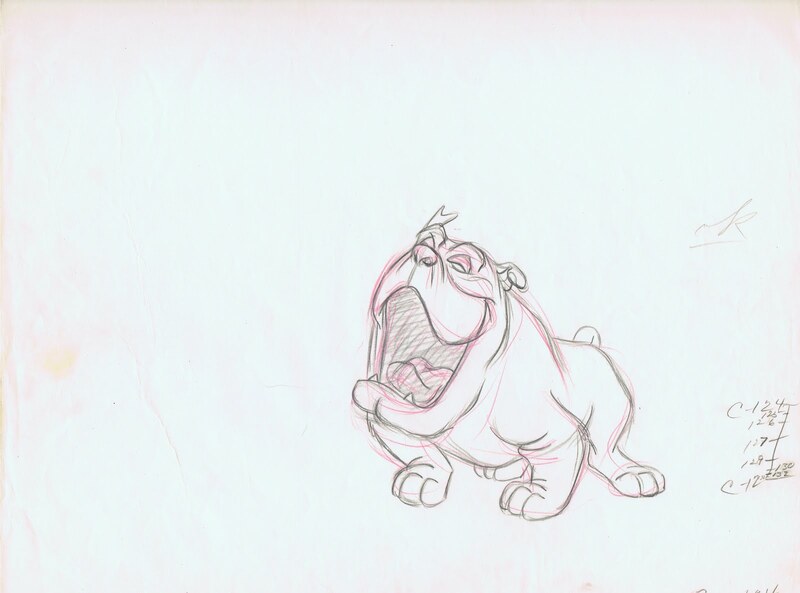 The drawings of Bull, the English bulldog, from "Lady & Tramp" shows how comfortable Lounsbery is with animal anatomy. 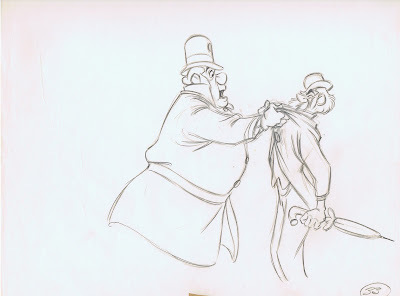 Again, great staging in the next image of the policeman and the professor arguing. Tony and Joe. These guys just about stele the film, he nailed them. 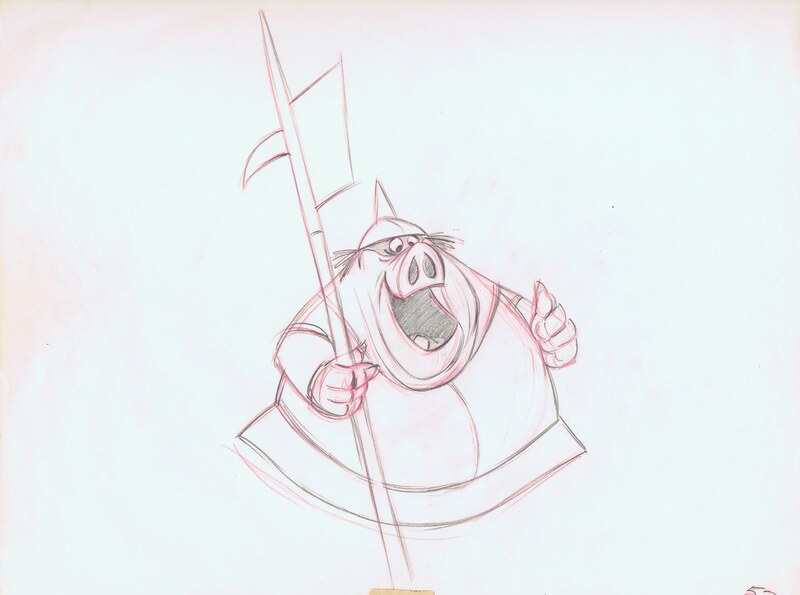 Over the top gestures, crisp timing and inventive drawing. 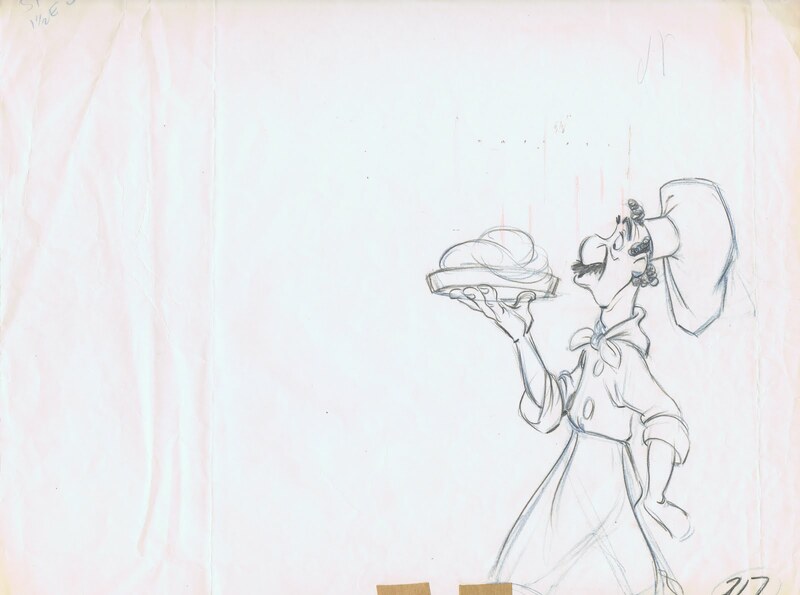 Look at that profile of Joe with his chef's hat. When are you ever going to get funnier shapes and forms. Beautiful, expressive mouth shapes as Joe sings and plays the accordion. 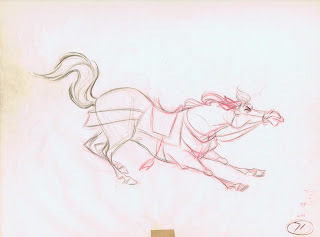 Next is Samson from "Sleeping Beauty", some cool roughs showing him coming to a stop. 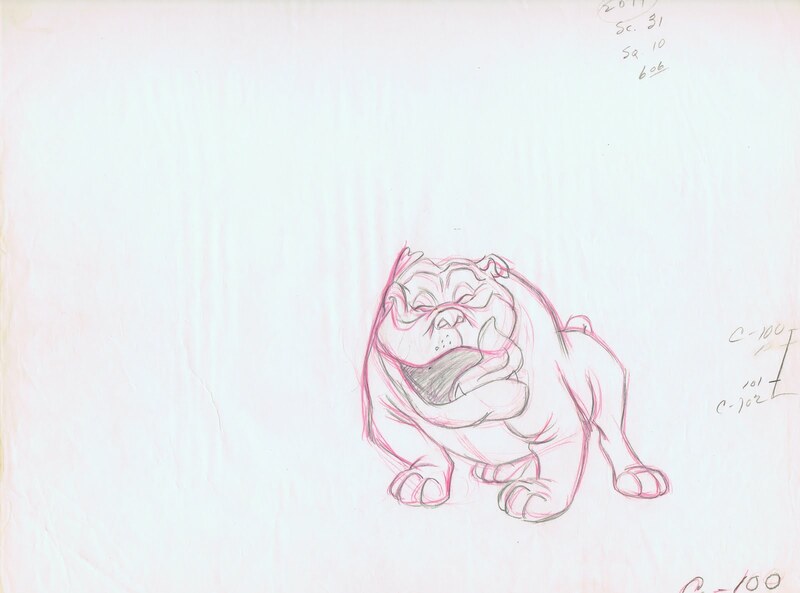 The drawings of the Colonel from "101 Dalmatians" show John's first animation pass for that scene. 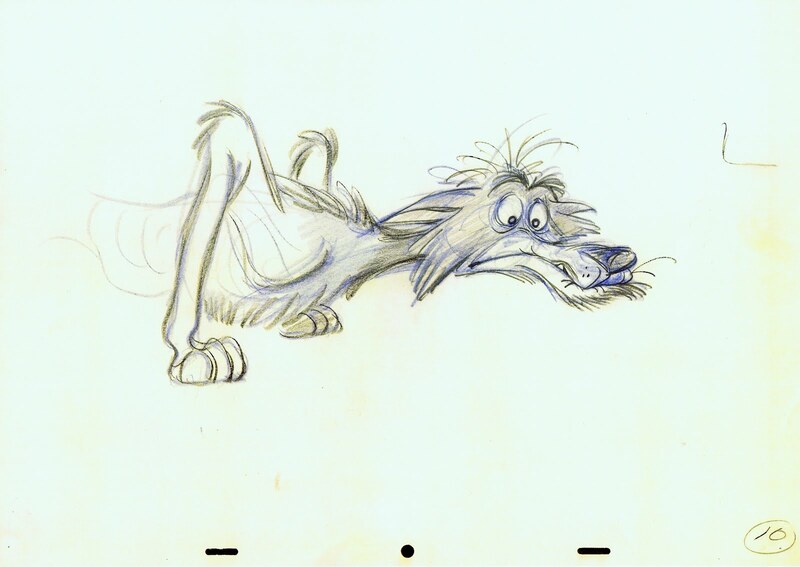 The wolf in "Sword in the Stone" was designed by Milt Kahl, but beautifully animated by Louns. 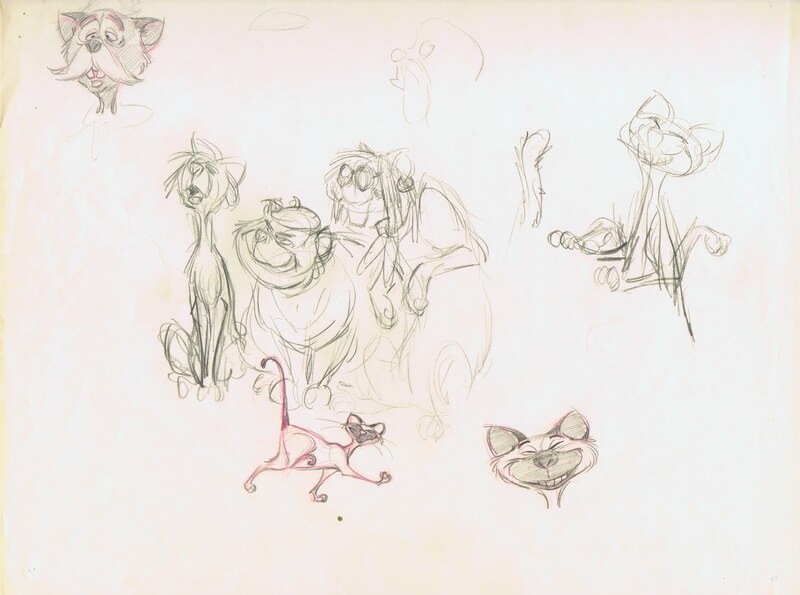 At the end of this Lounsbery Gallery is a design/doodle sheet for "The Aristocats"
"Tony" from Lady & the Tramp uploaded by David Nethery. Great to frame through. Thanks so much for all the posting you have been doing, I wasn't expecting them to come so often. Wow! Every single one of those drawings is beautiful! I don't blame you for being shocked at his work getting burned, it must have been like setting fire to the Sistine Chapel! 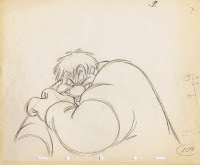 One of my all-time favourite pieces of animation is the scene in Mickey and the Beanstalk where Willie the giant sneezes. I honestly don't think I've ever laughed so hard at a scene in my life. The way it leads you to think you know what's going to happen but then hits you with the oddest sneeze ever - absolutely hilarious! The Mr Darling scene too is one that just shone out to me the moment I laid eyes on it, as did Tony and Joe. 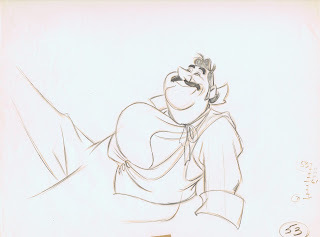 Andreas, so many of these drawings are veru close to the current Disney "look". I mean that horse is very similar to the one in Tangled, an Mr Darling is reminiscent, I think, of 'Big Daddy' La Bouff in The Princess and the Frog. 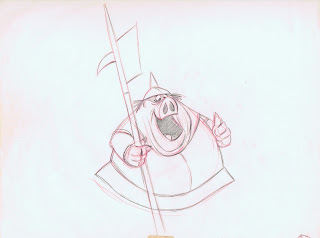 Was John Lounsbery a strong contributing factor to the well-known Disney style? 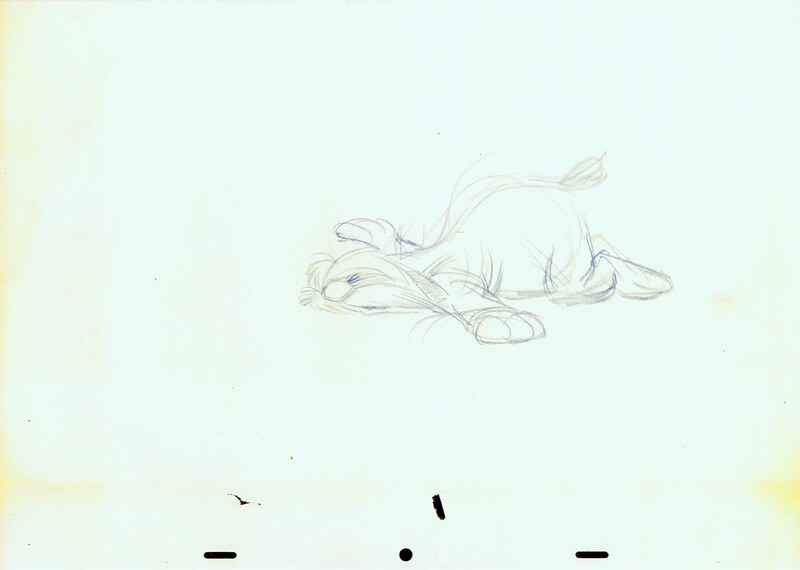 While I'm here, I'll just add that I thought the new Pooh movie was lovely when I saw it a couple of months ago. A lovingly put together film that I think really captures the essence of the old stuff. The Nessie short was brilliant too. I'm surprised that there was very little advertising of Pooh over here in the UK though. I only know one other person who saw it, and only a handful of others that even knew it was playing. I hope things work out well for it in the US. 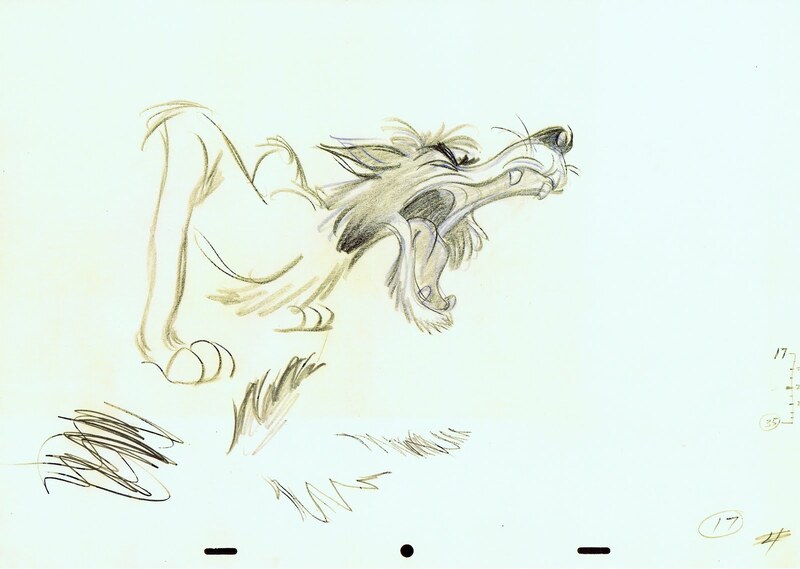 The wolf from Sword in the Stone is just fantastic. The animation of him is so great that I have to laugh at every scene with him. Just perfect! The wolf in The Sword in the Stone (one of the mosti popular Disney Classics here in Italy)...Samson in "Sleeping Beauty"...great, great stuff, I've always tought that if you see rough hand drawn animation there's even much more beauty in it than in the final color version...try the same with CGI animation, it's ugly and unbearable to watch! Finaly you have a blog! Thanks for many useful advices I heard on some of your interviews! Can you upload some of your drawings? 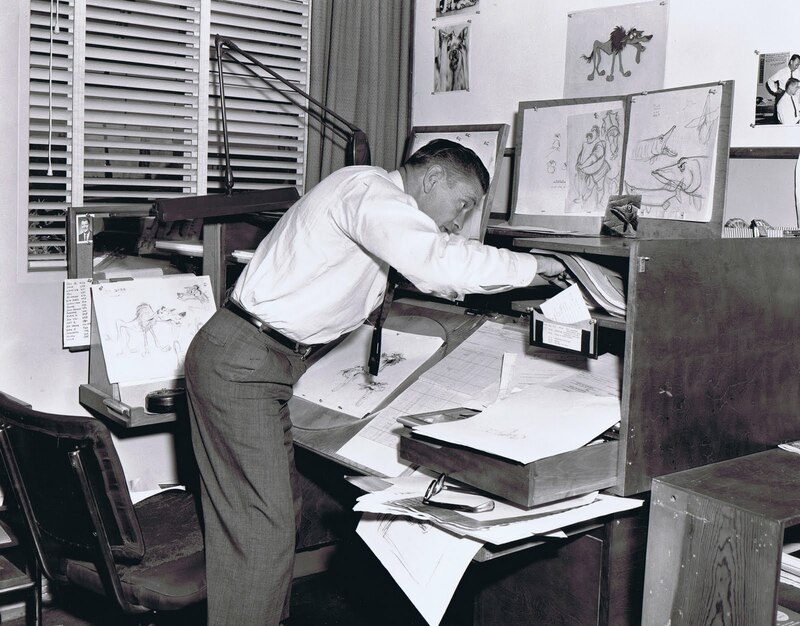 I love that photo of him at his desk, working on Sword in the Stone. 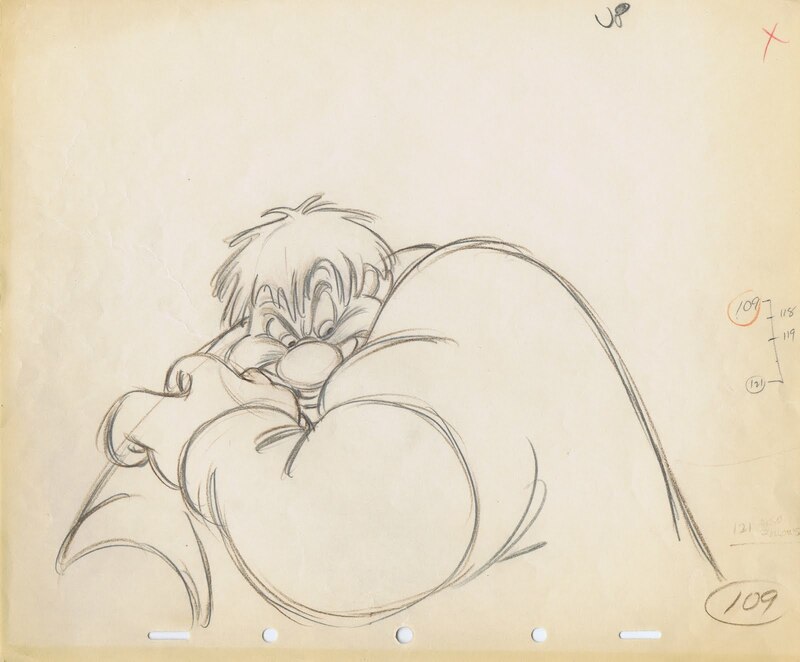 I alway though he did some of the best expressions. Always pushed them into a lovely place that didn't seemed forced for the character. I'm with Sandro Cleuzo - that photo is wonderful! I love all the drawings and photos surrounding his desk especially. 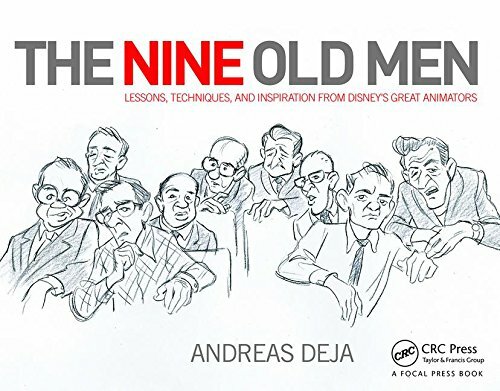 Great blog, Andreas...so happy to see your presence on the internet! 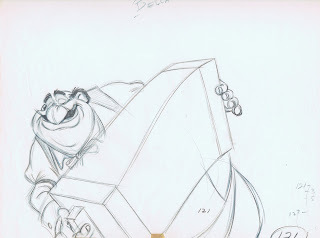 Those drawings of Tony with the accordion were among the first assignments I received when I took assistant animation classes at the Animator's Union with Dale Oliver back in the 1980s. 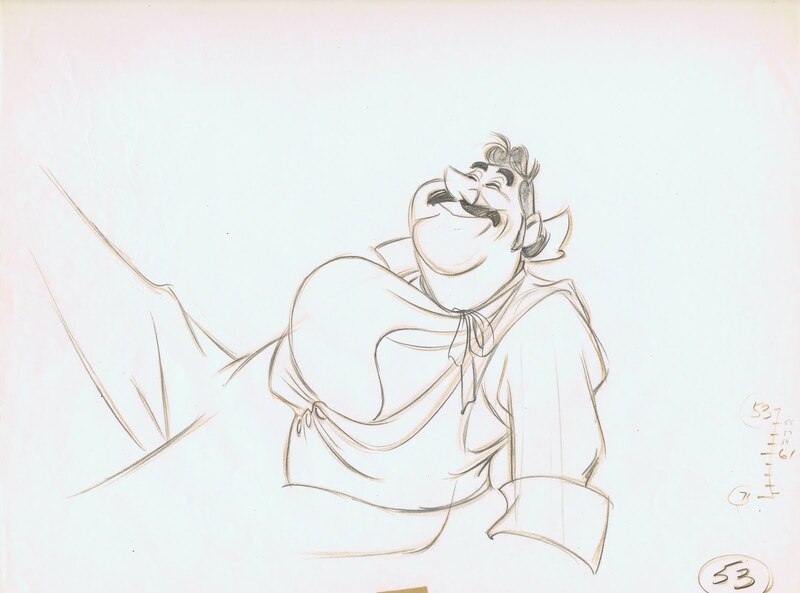 Every single time I see them (as well as that particular scene), I'm reminded of what an appealing draftsman Lounsberry was, and also how fortunate I was to have studied with Dale. Keep these awesome posts coming!! Thanks for posting all of this. It is amazing to study and read! I so much time searching for this kind of things online, it is great when you post new things up every day! With some analysis:) I'm really looking forward to seeing/reading about some of your own stuff as well! Fantastic! Thanks again! 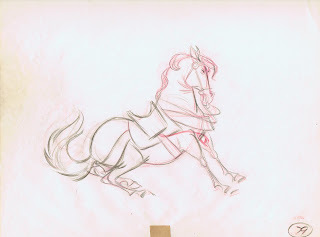 Was looking at all these drawings and just realized about an hour had passed... what was I doing again? Thanks for posting Andreas, hope all is well! Hi Todd, all is well over here. Having fun with this blog, lots more to come. Drop me an email some time. I'm learning a lot..... thank you so much Andreas! 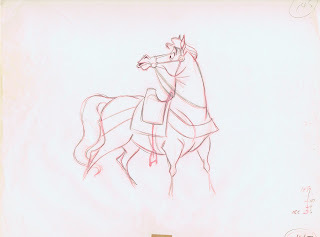 These drawings are wonderful, especially the drawings with Joe playing the accordion. Thank you for these gems!!!!!! John Lounsbery is a versatile artist to me. 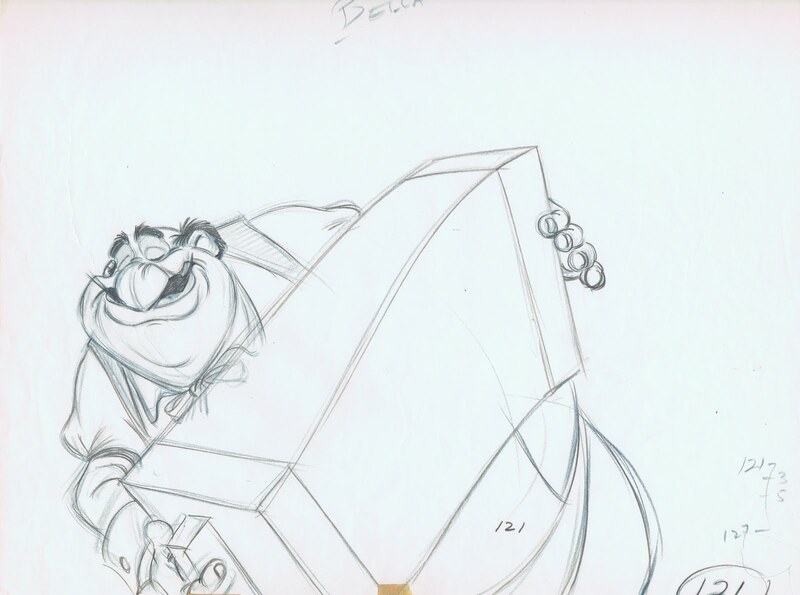 Some of his animation (in my opinion) is on "101 Dalmatians", I love his Jasper and Horace animation - as well as the Colonel. 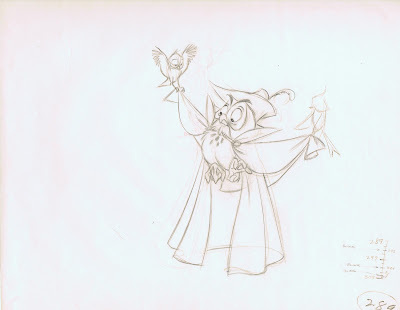 On "Cinderella" where the Mice: Jaq and Gus outwit the cat, Lucifer with the beads and sash. 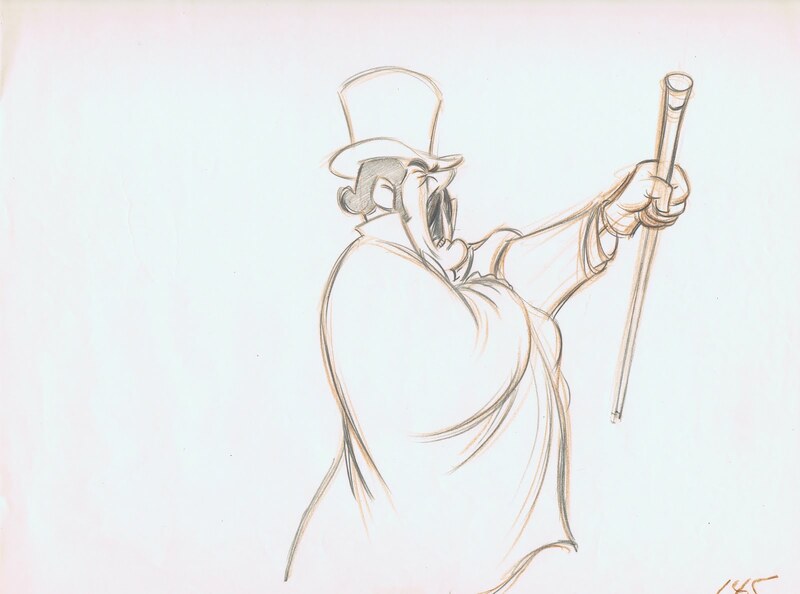 Lounsbery animated nearly all of that sequence with only a few scenes by Charles Nichols. I had no idea that he did the Policeman and professor in Lady and the Tramp - I know that he did Tony and Joe, and the Bulldog - but I thought the Cop and Professor was by either Hugh Fraser or Cliff Nordberg. Speaking of Nordberg, did you ever know that man. He's one of my true inspiring animators and he's a pretty underrated animator. Do you have like drawings by him. If so, I'd greatly appreciate it. Steven, I did not get to meet Nordberg, and I do not own any of his work. I understand he was a good teacher, too.